It’s been almost a full three years since I told my students they would have 20% of their class time to work on whatever project they were inspired to create. Since then I’ve learned so much from my students and our amazing community of 20% time and Genius Hour teachers. I have tried to share this journey, the ups and downs, through blog posts, video interviews, a 20% time MOOC, and most recently my book, Inquiry and Innovation in the Classroom. Now, as I begin moving forward into other projects and seasons of new work, I want to make sure that any teacher looking to start 20% time or Genius Hour with their students have a gameplan for moving forward with Genius Hour. 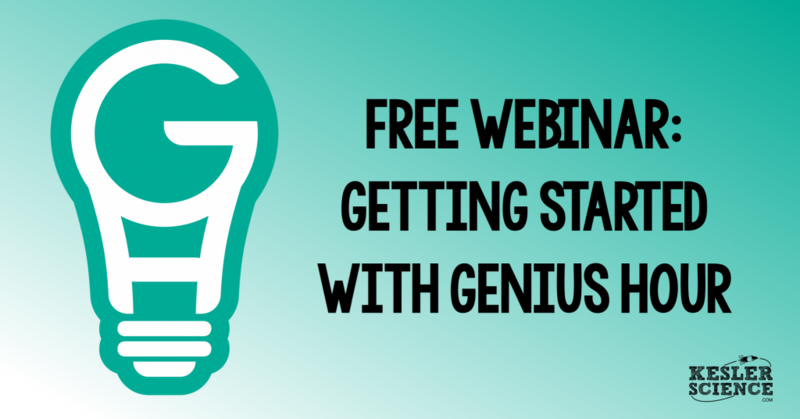 Chris Kesler and AJ Juliani will be hosting a FREE webinar called “Getting Started With Genius Hour: The Step-by-Step Guide to Structuring Genius Hour (including my 5 tips to make it the most engaging hour of the week).